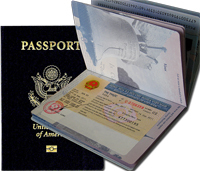 Obtaining a Vietnam visa with us is convenient, safe and the very affordable. 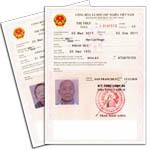 There are two types of Vietnam visa, regular and loose-leaf. For this visa form you email us a copied page of your valid passport and a digital portrait photo. Since 2008, Vietnamese Americans, including their spouse and children can apply for the 5-years visa exemption. This visa is valid for 5 years and the duration of each stay is 90 days. Please contact us for the online application form and fee.